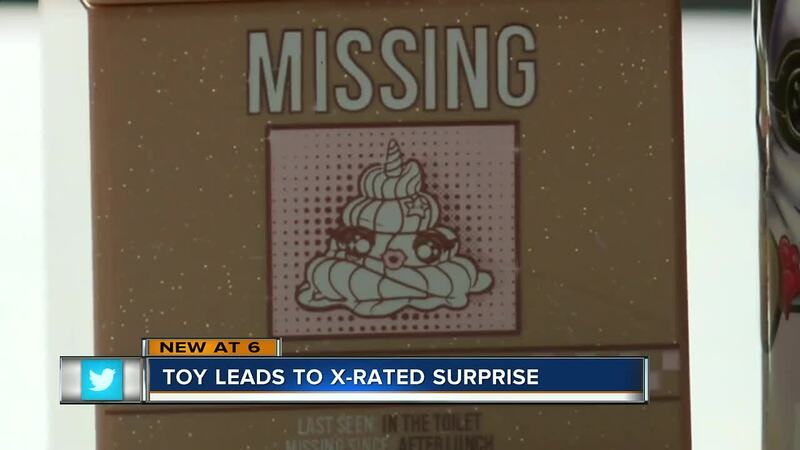 PORT RICHEY, Florida — A toy that’s already on Christmas wish lists led to an x-rated surprise for a Florida family. "It’s extremely popular, you almost can’t find them on the shelves,” Shari Leveille said. "My daughter, my sons, they all play with these toys,” John Corbett said. WFTS television station blurred the number because of its inappropriate nature. The toy makers wouldn't explain how the active number ended up on the product, but after WFTS reporters reached out, the company confirms they’ve negotiated with the owners of the number and have acquired it. Now, it leads to a kid-friendly message.